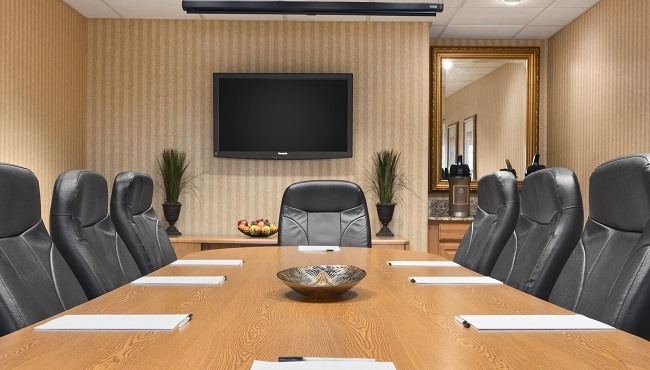 If you’re looking for a place to hold a small business gathering, group interview or intimate social event, reserve the meeting room at the Country Inn & Suites, Sycamore, IL. Capable of accommodating up to 10 guests, the space includes convenient amenities like free Wi-Fi, audiovisual equipment rental and a DVD player. We can also provide a personalized Web page for your event, and coffee and water service is available by request.